Chef Jose Chesa gets serious with a design-savvy new dining room bursting with smoked paellas, modern tapas, and a major bar. Eat Beat has the first report. 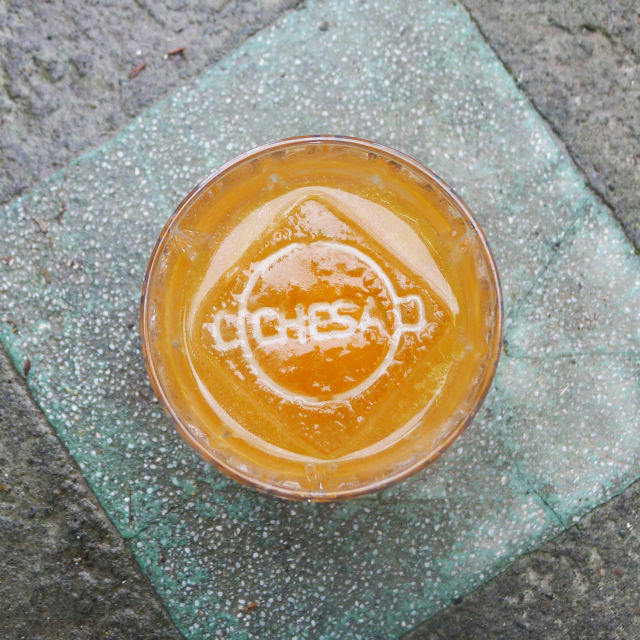 The “Chesa” cocktail will feature olive oil-infused gin, a pimento-bay leaf syrup, and a fat ice cube flashing the house logo. When Eat Beat announced last July that Chesa would open an eponymous new restaurant (named not for himself, but for his father, of course) on Northeast Broadway, I expected all of the chef’s obsessions to be on display. 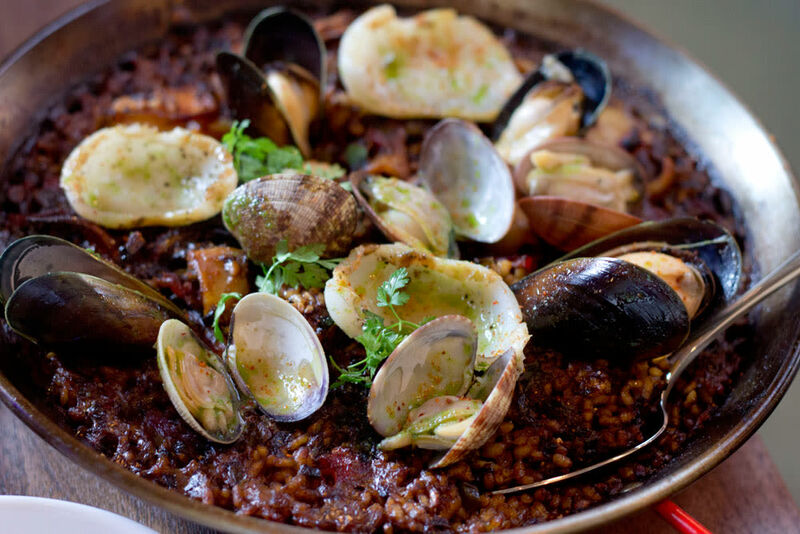 The way Chesa talked, he and his wife Cristina Baez (a fine cook in her own right) would serve a handful of unusual paellas, with help from a new toy: Spain’s coveted, charcoal-fired Josper oven. 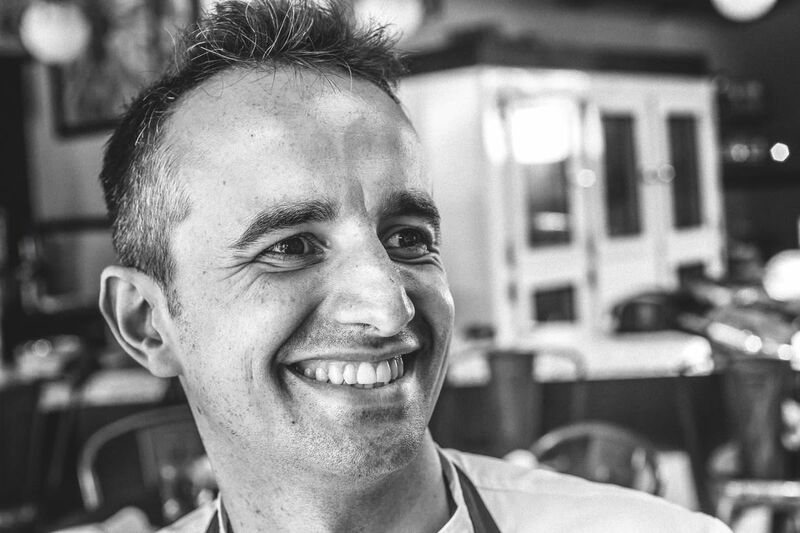 What I didn’t see coming was the scope of their ambition: Chesa will boast an extensive menu of tapas, a half-dozen wood-smoked paella, seven desserts, and a bigger push into modern ideas, from a guy hiding a wealth of Michelin star experience under his apron. 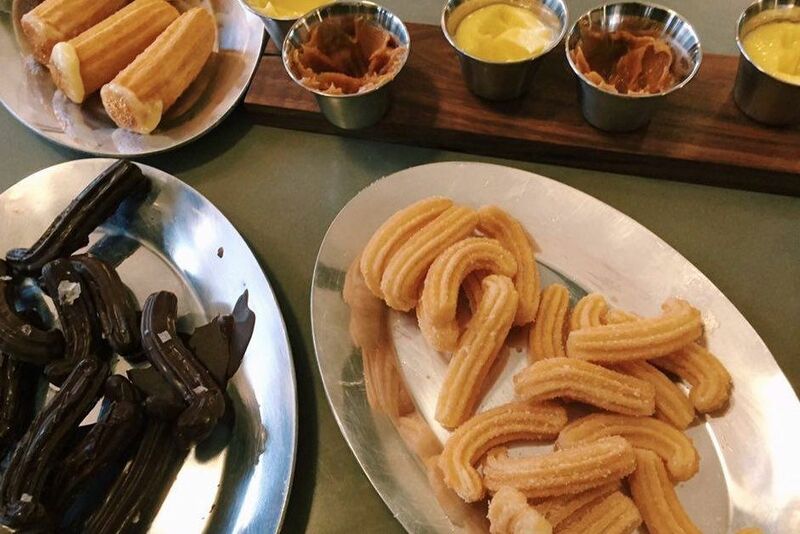 Chesa, slated to open February 23, has the look of a dining destination. It doesn’t hurt that 180, the couple’s artisan xurro and drinking chocolate spot, opened last week in the front corner of the building. It’s an overnight hit, for good reason. On Monday, during my second 180 xurros run, I peeked behind the curtains to find Chesa still under construction. The space was bigger and more gleaming than I imagined, with seats for 60 to 70 diners. A handsome red leather banquette runs along one big wall textured like cement. A long bar for eating and drinking runs along the other side of the room, lit by the funniest custom lights I’ve seen in some time, dangling glass porrons (Catalan wine pitchers). The plan is to focus on sherries (15-20 to start), Spanish vermouths, and playful cocktails from bar man Tony Gurdian (formerly of Imperial). If I had to guess, the breakout cocktails will be the super-carbonated gin and tonic as well as the “Chesa,” which features olive oil-infused gin, a pimento-bay leaf syrup, and a fat ice cube flashing the house logo. 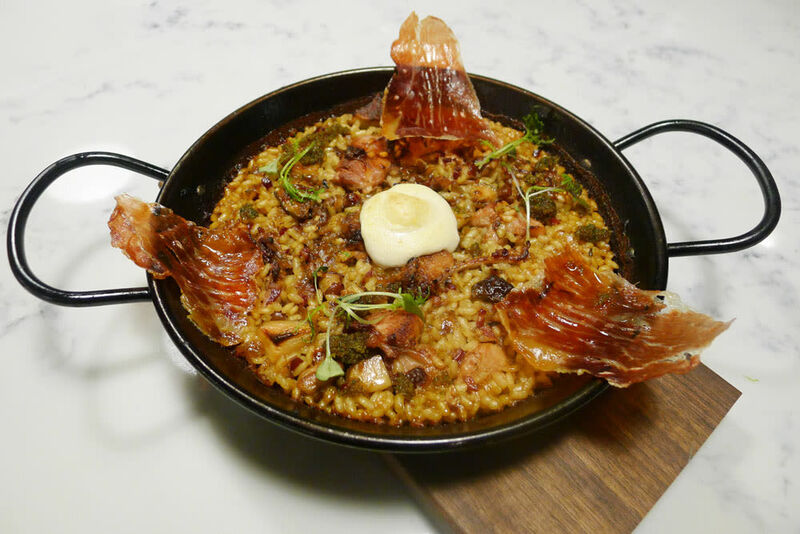 Paella is the centerpiece, with six versions—oxtail and prawns to langoustine with lobster broth. 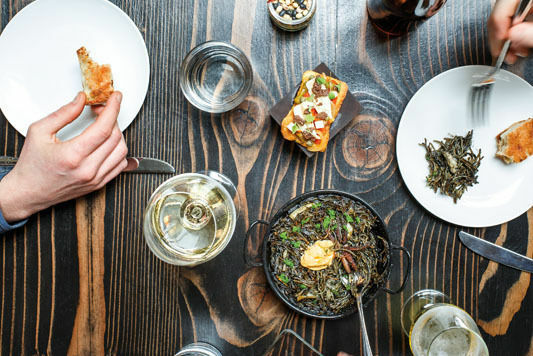 Sherry-marinated rabbit, crackling sheets of Iberico ham, and porcini allioli (Catalan-style aioli) are destined for the the house signature paella, dubbed “the Chesa.” A changing “vegetal” paella will also be in the mix. 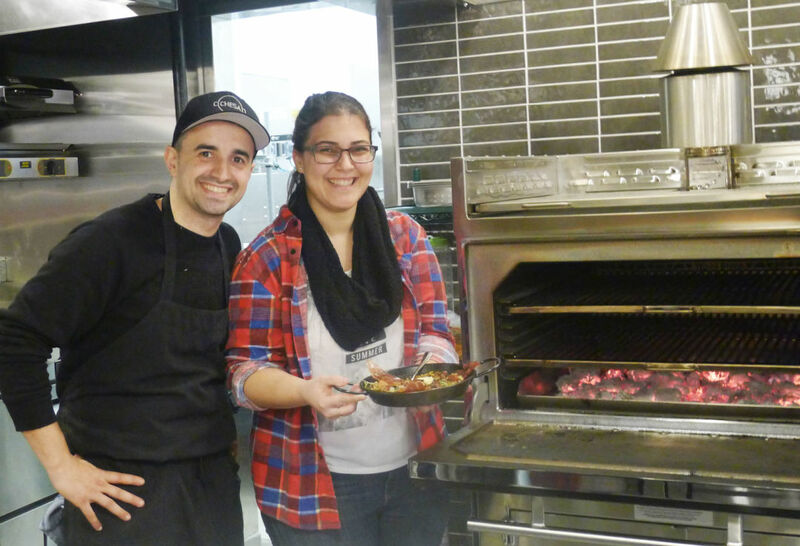 Chesa says the Josper oven changes the paella’s character, infusing the whole thing with a smoky, campfire allure.